The Rochester Bicycling Club is active in bicycling education and advocacy, and we have a long history of successful work in promoting cycling. 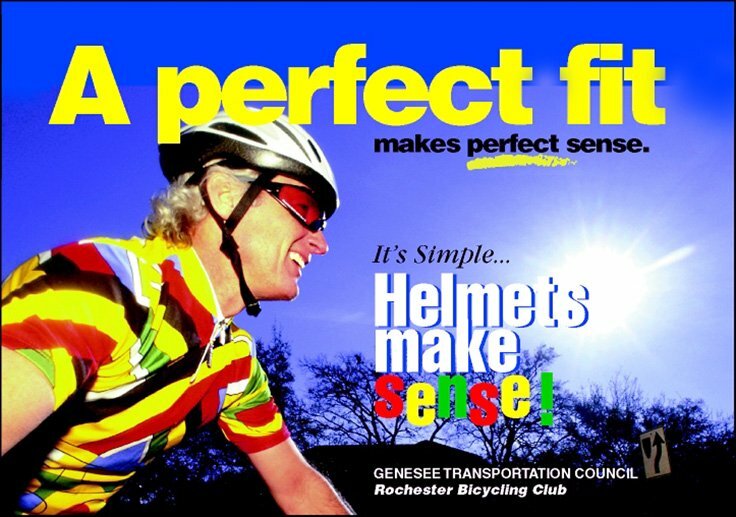 We have long advocated helmet use, and have been involved in cooperative projects with the Genesee Transportation Council and the State of New York in developing maps and promotional materials, and with RTS to promote safe city cycling and use of public transit. Additionally, the RBC has been involved in other advocacy and education projects, including Adopt-a-Highway, assisting the Genesee Transportation Council in developing bike friendly trail maps, producing and distributing signage advocating helmet use on the Canal Trail, providing input to the New York State Department of Transportation regarding highway design, and others. Letter from the RBC in support of the City of Rochester's Bicycle Friendly Community Renewal Application. or organization that contributes to promoting bicycling for transportation or safety. 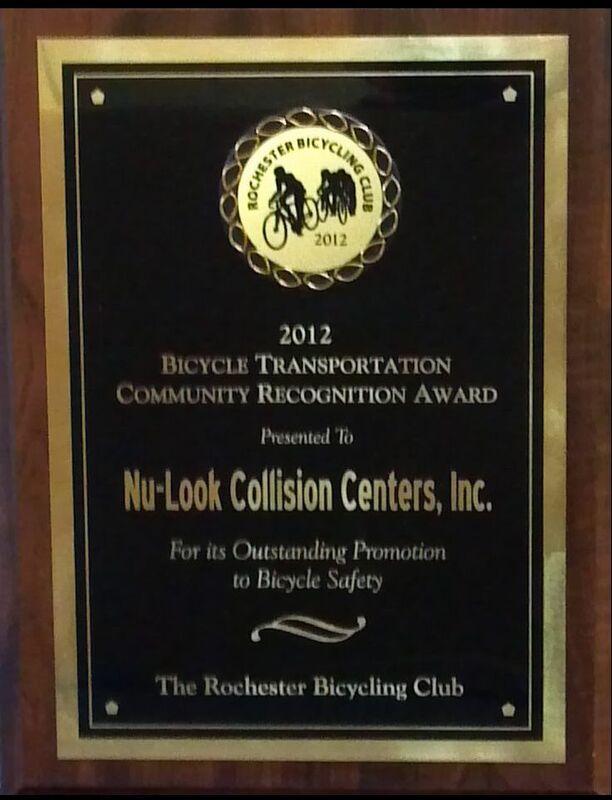 In 2015, The Rochester Bicycling Club awarded three grants for a total of $8850 to the following groups. $3,000 to distribute tool kits to 300 individuals who have received free bikes through RCB, enabling more independence through the use of bikes as transportation. $2,350 to construct a second "Books by Bike" mobile. This met RBC’s goal of using a bicycle for alternate function and transportation. More information can be found in the October 2015 newsletter. The Rochester Bicycling Club is a member and/or supporter of the following advocacy organizations. Rochester is a LAB Bronze level Bike Friendly Community. 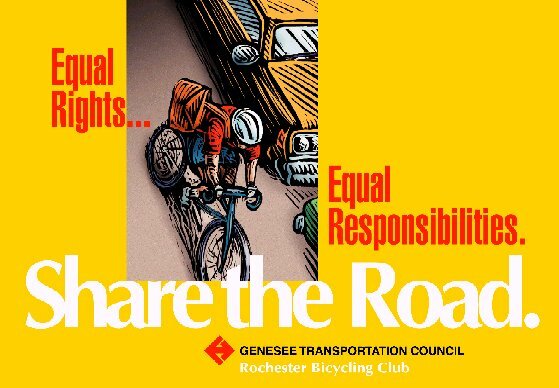 The Rochester Bicycling Club has partnered with the Genesee Transportation Council to produce cycling safety ad campaigns and literature. 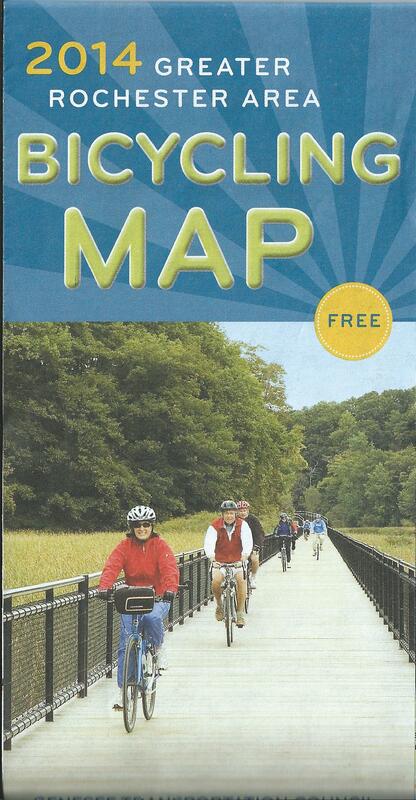 RBC volunteers rated roads for 3 editions of the Greater Rochester Area Bike Map. The RBC Produced Sharing the Road information cards. The RBC has Share the Road bumper Stickers - for free. The Rochester Cycling Alliance (RCA) was formed in the summer of 2008 by RBC Board Member Richard De Sarra and Jon Schull, Professor at Rochester Institute of Technology (RIT). Our plan was to unite local bicycling advocates and organizations in a coalition which would promote bicycling in various ways to be determined by the members. We are currently an all volunteer organization and incorporated in NYS. 1. Promote the use of bicycles for transportation, sport, recreation and health. 2. Foster the development of cycling roads and trails. 3. Better facilitate the exchange of information on bicycle safety, active transportation and cycling in general. 4. 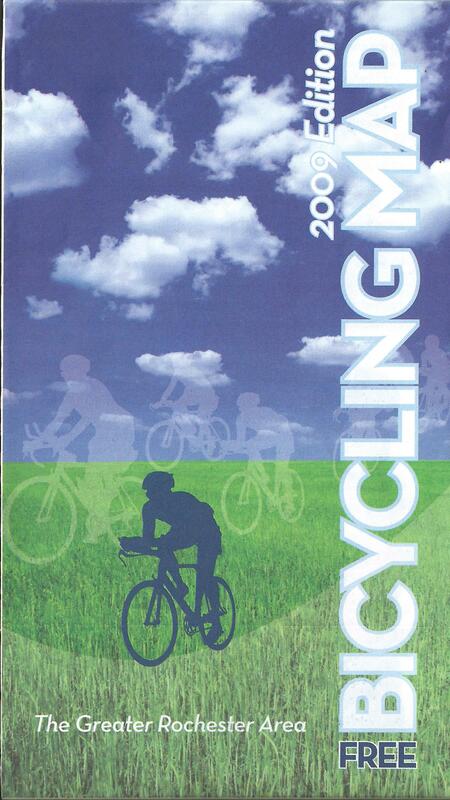 Provide input on government activities and legislation affecting cycling. 5. Provide a public voice for the interests of cyclists.